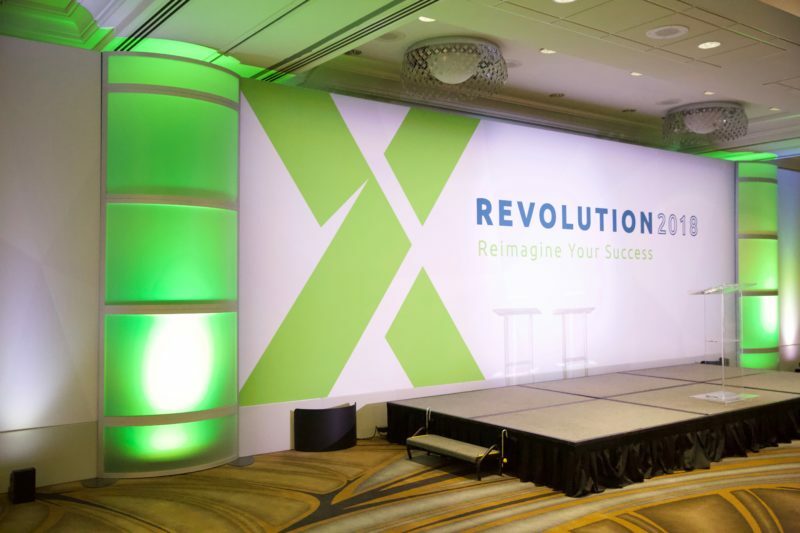 Why Partner with Expressive Structures for Custom Event Backdrops? Our backdrops enhance the mood of your event and engage your audience. The most successful events are ones where the audience is engaged throughout and the atmosphere makes them feel welcomed, special, important and cared for. Something as simple as a backdrop can completely transform the look and feel of your event space. The texture, color, and overall design of the backdrop can bring a unique feel to your space and radically affect the mood of your event. Whether you need someone who has put up scenic in every major event space in Chicago, or you need to fill a large area with a 16’ tall, seamless dye sub print, or you simply need some guidance through the event or design process, Expressive Structures is here for you. Our President, Ben Palmer, has been working in the Chicago scenic industry for over 20 years. With that experience, he created Expressive Structures with an understanding of our clients’ needs, even those needs the clients’ might not yet be aware of. What would happen if your scenic provider missed the deadline? What would happen if the scenery didn’t fit the venue? How would your scenic provider respond if something went wrong the day of the event? Don’t worry, we have it covered. We take the stress out of preparing scenic for your event. Our team at Expressive Structures acts as your scenic department, so you can focus on what you do best while we iron out the details. From start to finish, we work with you every step of the way to meet your expectations and ensure your event goes off without a hitch. So if you want to wow your audience, get true production expertise from a professional scenic rental company, and save time, go ahead and contact us. We are a Chicago-based company that does work in the city and beyond. We specialize in corporate shareholder meetings, sales meetings, investment meetings, award ceremonies, trade show events, and fundraisers. Be sure to check out testimonials from some of our clients if you want to know what you could be saying about us after you partner with Expressive Structures.